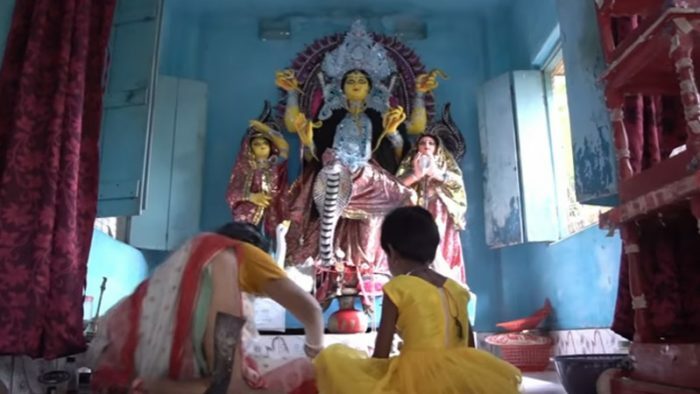 Greenply Foundation wants the Kolkatans to sit back and take notice of its thought-provoking initiative this Durga Puja season aimed to make the celebrations accessible for all. While generations have amalgamated themselves into the revelries in whichever form it has been offered to them, the question which however arises is ‘Has the festival been able to make room for all over the years?’ Greenply wishes to bring forth a different perspective. The festival of Durga Puja that set forth in Calcutta sometime between the 16th and 17th centuries has gone on to become an integral part of a Bengali’s ethnic identity. Initially, a property confined to the mighty and affluent zamindars of the state, with the conception of the ‘Sarbojanin’ puja it became an affair to be rejoiced by the common people as well. Sarbojanin was coined by blending two words which individually stand for “for all” (Sarbo) and “people” (Jan) respectively. The nomenclature signifies that the festival is an all-inclusive affair that people from all backgrounds should be able to take part in. But has the concept been justified? “This flip side of the festival has moved Greenply to turn things around for the people who share a similar fate with the ones we have featured in the video. Greenply aspires to be much ahead of ‘No. 1 plywood manufacturing company’. We have had our ways of giving back to the community over the years. This was the least we could do considering the sentiments of the residents of Kolkata towards the festival. I am certain that pandals across the city will share our empathy and compassion towards the cause. Hopefully, they will welcome this initiative and take it ahead for years to come”, Kamal K Mishra, Asso. Vice President & Head of Marketing, Greenply. Further, to encourage more Pujo committees to follow in their footsteps, Greenply is inviting them to upload pictures of their pandals on social media (Facebook and Instagram) with the message: ‘Name of the Puja’ needs a ramp accompanied by the hashtag #pujoforall. Greenply will promptly send their plywood to build a ramp for their pandal. Pujo committees which have already planned the construction of ramps can upload a photo of their premises with the message: ‘Name of Puja’ has a ramp, accompanied by #pujoforall. Based on the information, a map with Ramp-enabled pujos will be published as a Social Media post by Greenply. This will help people who’ve been unable to visit pandals discover Pujos they can have access to for a hassle-free pandal hopping experience.